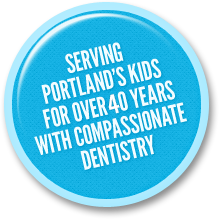 Dr. Pike Dentistry for Children has been serving the Portland and Beaverton communities for over 40 years! We are a family-run practice with a commitment to providing families with the highest quality care in a compassionate environment. Nothing makes us more proud than the many second generation families who see us. Drs. Allan Pike and Suher Baker are specialists in the dental and orthodontic needs of kids and teens. 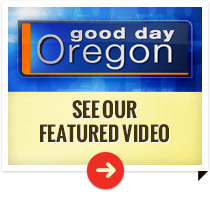 Dr. Steven Pike is a general dentist who limits his practice to the treatment of children. The doctors and staff at Dr. Pike Dentistry for Children look forward to seeing you soon! Our dentists and staff have dedicated their careers to taking care of children’s teeth. We have a tremendous amount of experience in providing age-appropriate diagnosis and treatment for children from the toddler years through adulthood. Our practice is built around the idea that we want to help parents raise children who have healthy teeth and are comfortable going to the dentist. When children are comfortable going to the dentist, they look forward to their appointments and are more likely to take good care of their teeth. These children grow up to be adults who have healthy teeth and gums and only go to the dentist for preventive care. It really is a lifelong advantage! We understand that dentistry is difficult for many parents and kids. Some children have temperaments which predispose them to be naturally sensitive, cautious, or active. We have developed methods that are specifically designed for each child’s unique temperament. These methods help children feel more comfortable at the dentist and are now studied by pediatric dentists around the world. 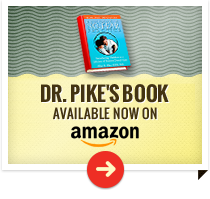 Please see Dr. Allan Pike’s book if you would like to learn more about our techniques. We believe the best way to treat dental problems is to go to the root cause of the problem. While traditional dentistry only treats symptoms (i.e. drilling out cavities and placing fillings), we believe in preventing and healing cavities by making changes to diet and oral hygiene. Our holistic approach to pediatric dentistry helps us prevent some problems before they start, which not only keeps your children happier and healthier – it also means you’re likely to have fewer dental emergencies (and spend less money) on dental visits as your kids grow into adults. 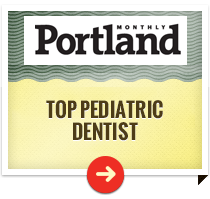 Call our Portland pediatric dental office at (503) 297-1711 to schedule a new patient appointment. We are happy to set visits at your greatest convenience and answer any questions you have about our staff and services!